Intumescent Sealant - High Pressure Expanding type. Suitable for use in rigid wall and floors, flexible wall and within batts wall and floor. Large service openings up to 300 x 100mm. Tested in accordance with EN 1366-3 : 2009. Metallic Pipes, Cables, Cable Bunches (inc Telecommunication), Cable Trays and Cable Ladders. Combustible Pipes up to 125mm dia - PVC, PE, PP, ABS and PEX. Causes no known effects to plastic pipes, plastic cables, sheathing or metallic components. Easy clean up with water and is odourless. Smoke, gas and air tight. 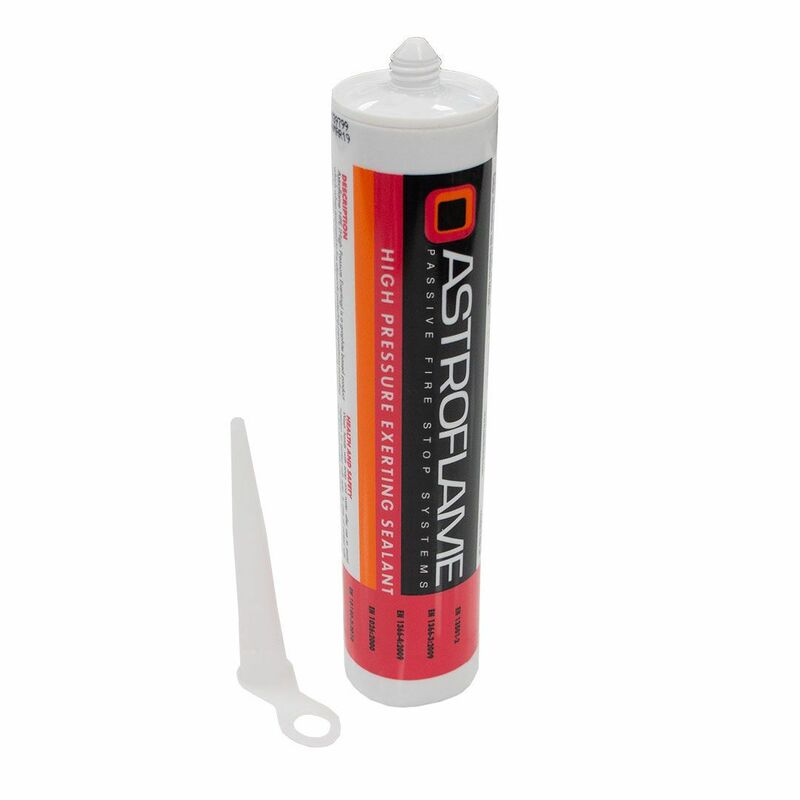 Astro HPE Sealant is an acrylic based graphite sealant used to reinstate the fire resistance performance of wall and floor constructions where they have been provided for the penetration of single or multiple services, to form penetration seals where gaps are present. Available in 310ml cartridge for standard application guns. Grey colour only but can be painted. Up to 4 Hr Rated | For wall floor & ceiling penetrations | Fire Pillows tested to BS476: Part 20: 1987 | 4 stock sizes | Removable for re-use | Dustproof. A compressible firestop seal for service penetration openings or trunking. An alternative to intumescent pillows. Fire Rated Expansion Joint Seal / Linear Joint Seal | up to 150mm gap size | Tested in accordance with BS 476 Part 20: 1987.